Although I tend to avoid eating beans, I had to make an exception when I found this recipe online and had to give this recipe a try. Well….I’m glad I did! This soup came out delicious. Place the bell peppers on a baking sheet and broil on the top rack of the oven, using tongs to turn them as each side blackens. Place the blackened peppers in a paper bag, close tightly and allow them to cool for 20 to 30 minutes. 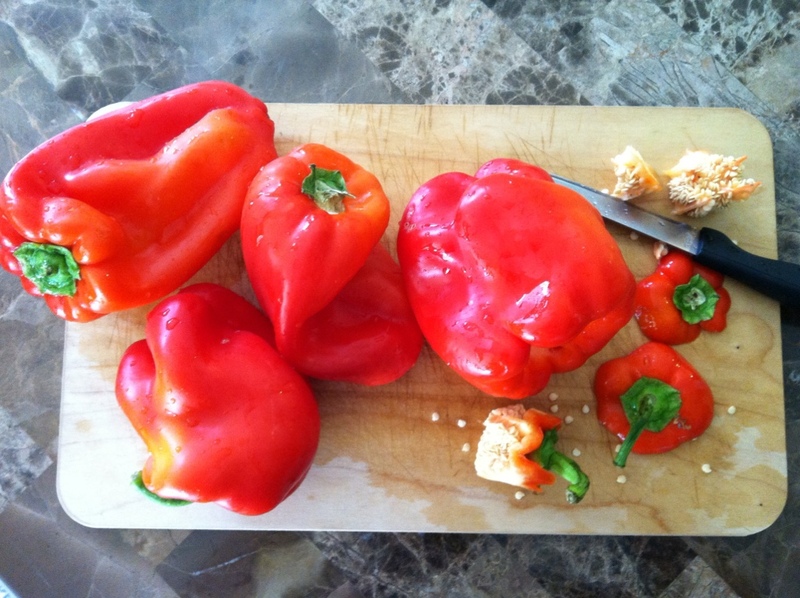 Then peel the skin off the peppers and discard the stem and all the seeds. Chop the peppers and set aside. 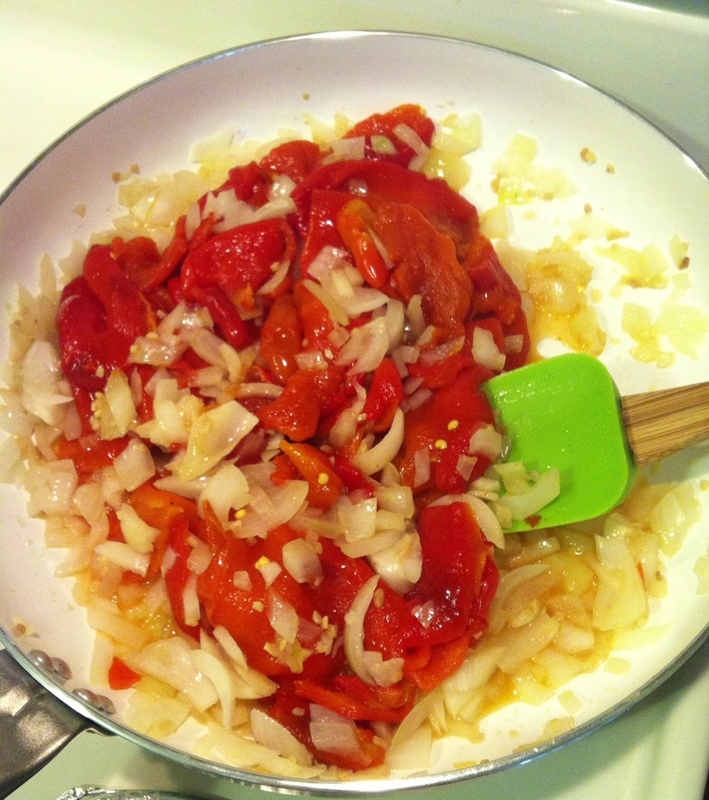 -In a large pot over medium heat, saute the onion and garlic in the oil for 5 minutes, or until onion is translucent. Now add the chopped, roasted red bell peppers and saute for 2 to 3 more minutes. Next, add the chicken broth and the beans, stirring well. 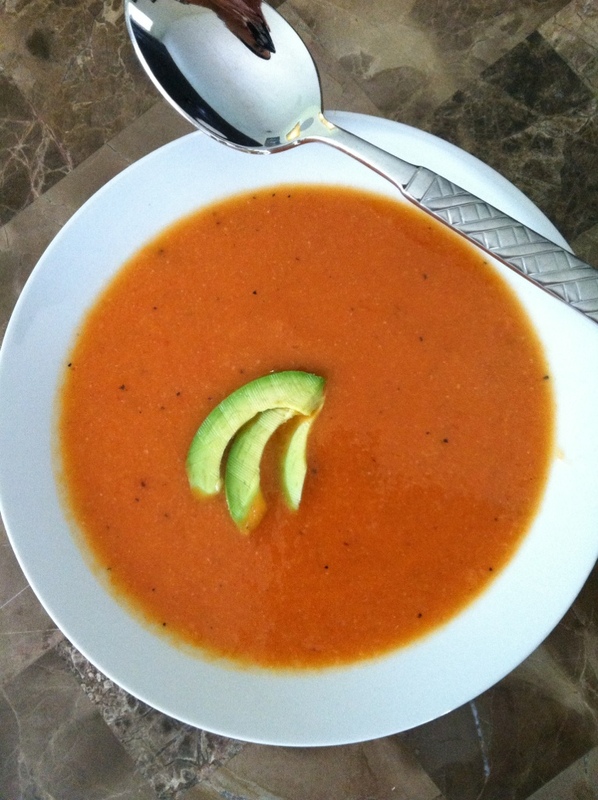 Using a blender, puree the soup in small batches and return to the pot over low heat for 5 minutes.